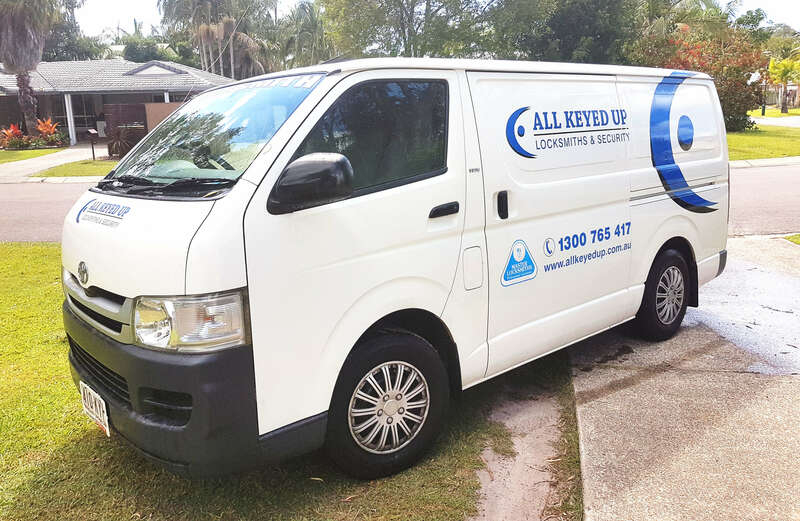 All Keyed Up Locksmiths and Security provide a complete mobile locksmith service to the Sunshine Coast. Our service vans are completely decked out as workshops and we also carry substantial stock to get the job done right. Our work vans are state of the art with internet connection, mobile EFTPOS facilities as well as all key cutting facilities. We can cut all types of keys from a standard house key, garage door key right through to the highest security automotive/transponder key. We have technology to program most transponder keys into vehicles at a very competitive price to the dealer. We are able to supply and program keys to all Toyota vehicles when keys are lost, on the spot, on site, at a fraction of the dealers price. Automotive locksmithing is our specialty and we can supply after market transponder keys that are cheaper than original keys. All Keyed Up Locksmiths and Security also supply and install locks to the commercial and residential industry. Deadlocks, window locks, cupboard locks, roller door locks, security door locks, deadbolts, cam locks – every type of lock. We also can supply restricted master key systems and access control systems, for home or office. We can open houses and cars when keys are locked in. All types of safes supplied and installed, fire resistant and theft resistant. We also can supply key cases when the original breaks, especially for Toyota, much cheaper than original keys. We can cut and program all Holden keys and remotes, even supply, cut and program keys into Holden’s when all keys lost. We pride ourselves on service, we are fully insured and are reliable, licensed and fully qualified locksmiths. 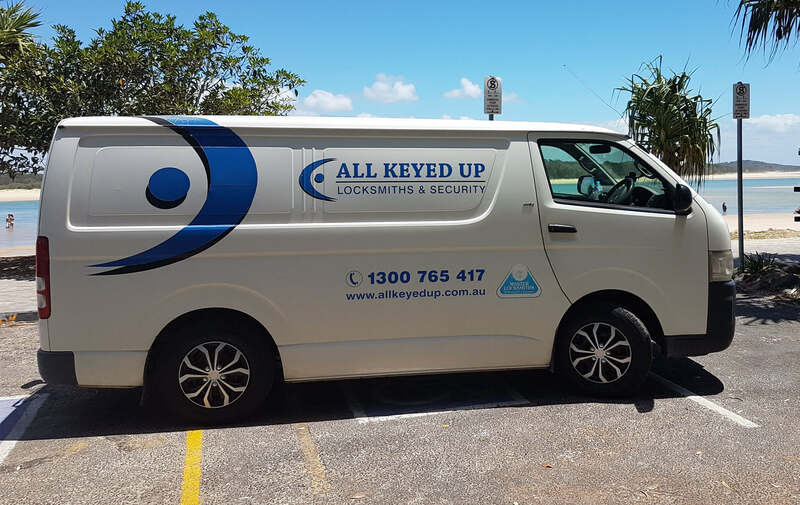 All Keyed Up Locksmiths are not a franchise, we are Sunshine Coast based and operated. We are a local business employing local tradesman to look after local residents, businesses and visitors to the Sunshine Coast.